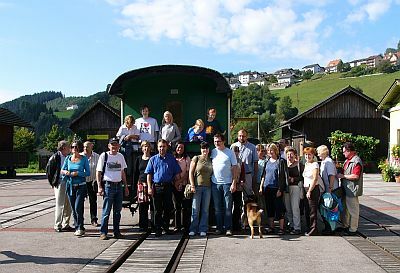 We are happy to organise special trains for those special occasions throughout the year. Club and company outings, weddings and birthday celebrations – or for any other reason! For special trains running in winter, any costs for necessary snow clearance will be charged in addition to the standard prices. Please contact the Service Centre in Weiz. If you would like to have catering on your train, they will also be able to help.